Next weekend there's a party at Square Root London in Amhurst Road, Hackney. Capish? and The Cellar are providing the food and beers, while Square Root themselves are making the sodas and the cocktails. Go! "We're setting up a pop up event from the 28th to the 30th of March at Square Root sodas HQ. 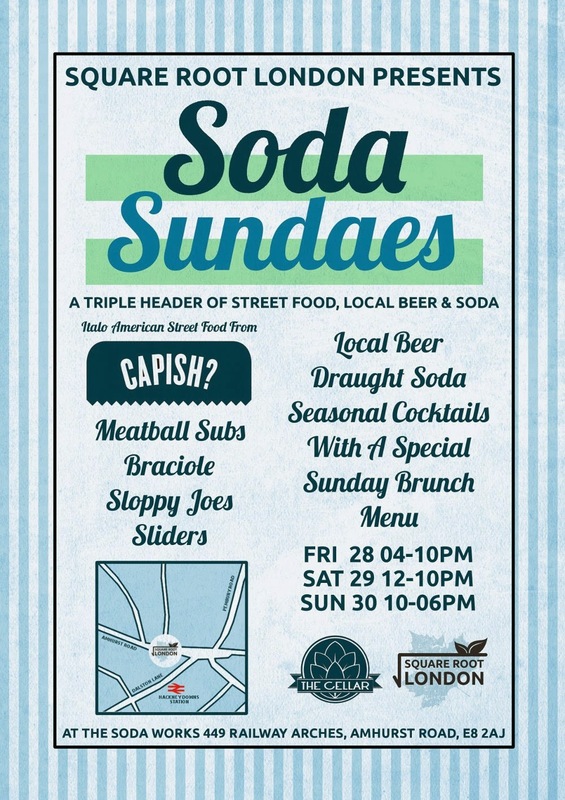 Local beers will be provided by The Cellar, sodas and cocktails by Square Root and the Italo/American street food by Capish?"